**CALL OR TEXT NICK WATERBURY @ 440-463-7809 TO SET UP A TEST DRIVE OR WITH QUESTIONS YOU MAY HAVE! 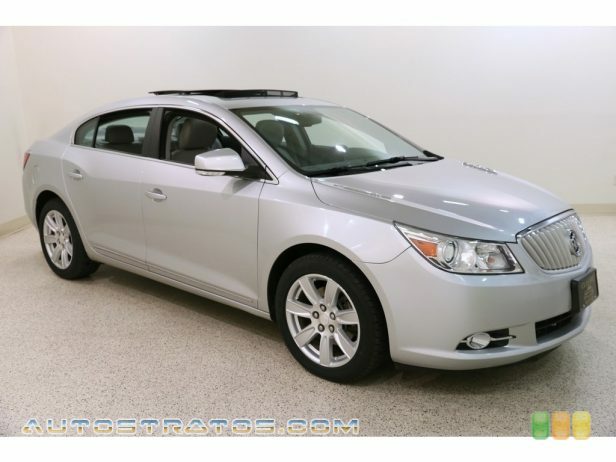 ** Satisfy your need for luxury with our 2012 Buick LaCrosse Sedan proudly displayed in Quicksilver Metallic. Powered by a 3.6 Liter V6 that offers an impressive 303hp while connected to a 6 Speed Automatic transmission for easy passing authority. This Front Wheel Drive delivers perfect acceleration in any environment plus offers near 27mpg. Buick's premium sedan offers elegance throughout and brilliant drive dynamics that have been designed to suit your mood. When you step into our sophisticated LaCrosse interior, an elegant yet functional layout greets you. Known for its generous seating for each passenger, every LaCrosse includes rich soft-touch materials throughout. The serene, luxurious cabin is filled with content including amenities like full power accessories, an 8-way power driver seat, a 7-speaker sound system, IntelliLink and much more. Safety is also paramount, emphasized by ABS, stability control, and numerous airbags. Travel is first-class each time you enter LaCrosse. Move about town in the style and sophistication that only Buick can bring to your life.